Click Here To See Published Black Panther Page! Click Here To Pro Magazine! 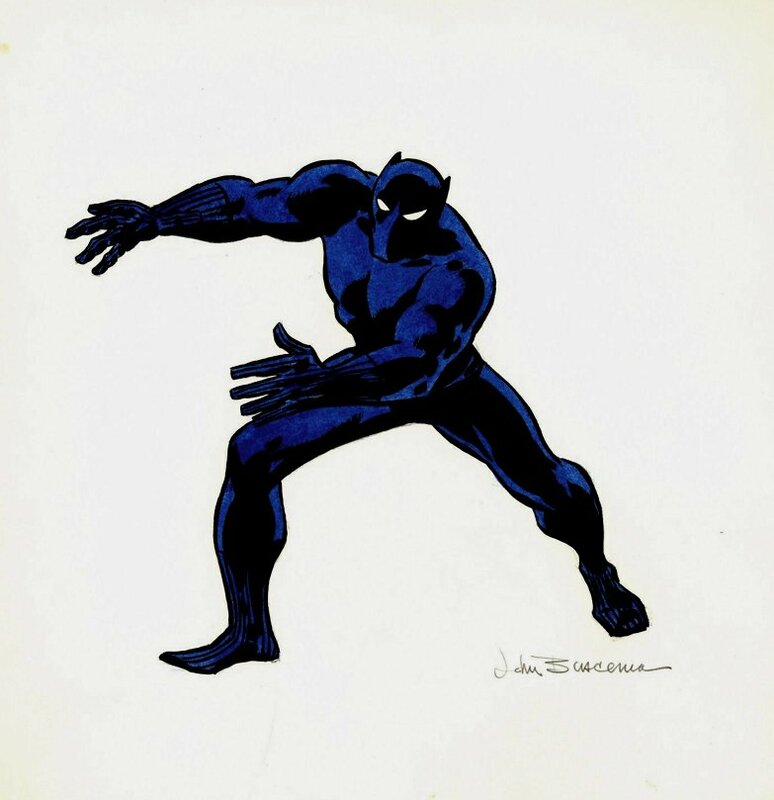 Check out this very nice 1970 PUBLISHED Pinup, which was Penciled, Inked, and Hand Colored by the great John Buscema! This Pinup features a nice large image of Black Panther in a great pose! This art was published in 1970 in "PRO MAGAZINE" which was an NFL magazine. Click the red link above to see the cover to the magazine as well as the actual published page where this drawing was pictured. 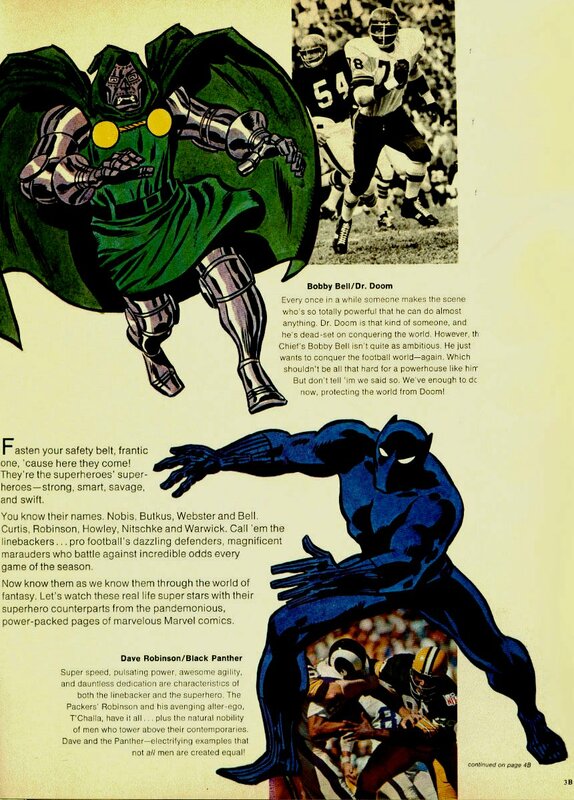 This is most likely the VERY FIRST ORIGINAL BLACK PANTHER ART EVER CREATED FOR A BOOK OUTSIDE OF Marvel's comic book line! Art is drawn on 10 by 10 inch art board, and is signed at the bottom in ink by the great John Buscema! 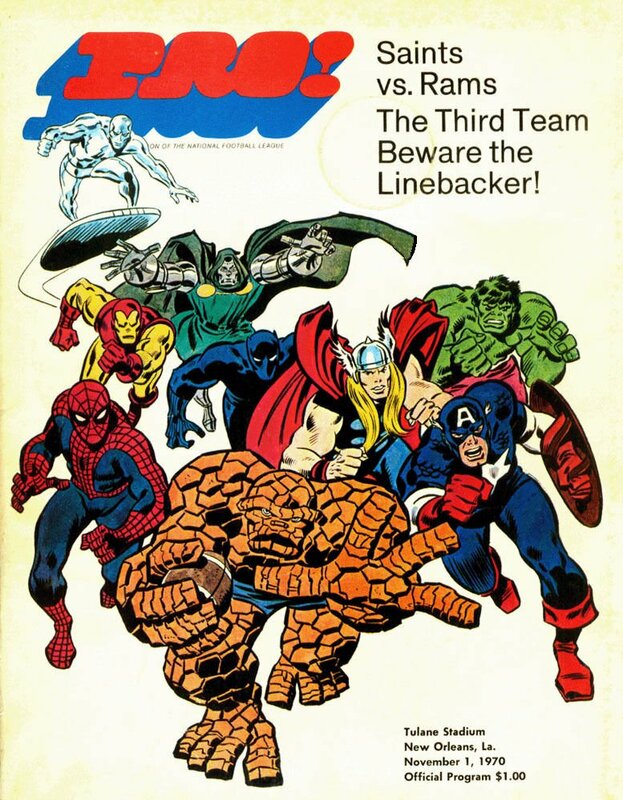 The actual magazine signed by the great JOHN ROMITA is included with the sale of this great artwork! Just a neat PUBLISHED 1970 Black Panther piece! ALL art on our website (including this one) are able to be purchased with VERY fair time payments, and trades are always considered towards "ANY" art on our website! Just send us an email to mikeburkey@aol.com and we can try to work something out.